This was a pretty okay week. I was pretty productive, but also had some days where I felt a bit off and another headache, although this one lasted less than a day luckily not almost two days like the one last week. 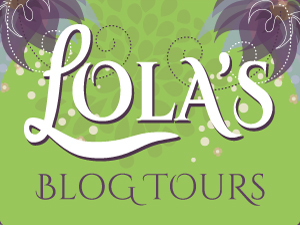 I did a bunch of assistant work, I had a blog tour I organized that started this week and I put live a new sign-up post for a cover reveal. My computer is still being a pain and is crashing regularly again. I am saving for a new one and hope to be able to afford one soon as it’s really annoying to have it crash so often and it so old it takes age to restart again too, which costs time and productivity. Update: I also adjusted one of my plugins. First the button to receive an e-mail when i reply to your comment was clicked y default, now you have to click it if you want to receive the e-mail. Sorry for the inconvenience, but I had to change it to be GDPR complaint. I ended up finishing 5 books this week, which sounds a lot. But I actually didn’t read much more than usual, one of these was a DNF, two were short reads and Minder Rising I’ve been reading for a while on my Kobo. I DNF’d Ruthless Magic after a side character killed one of her pet rats to make a point. I lost all my interest to continue the book after that. 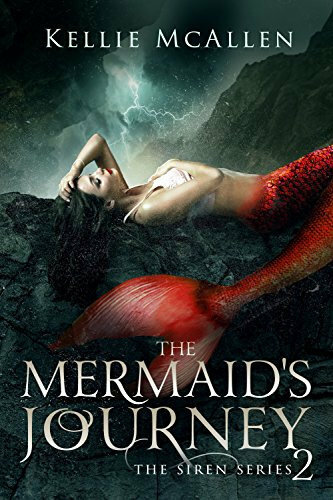 The Mermaid’s Journey was really good, the new setting really worked and introduced new challenges. I can’t wait to see how book 3 wraps this series up. 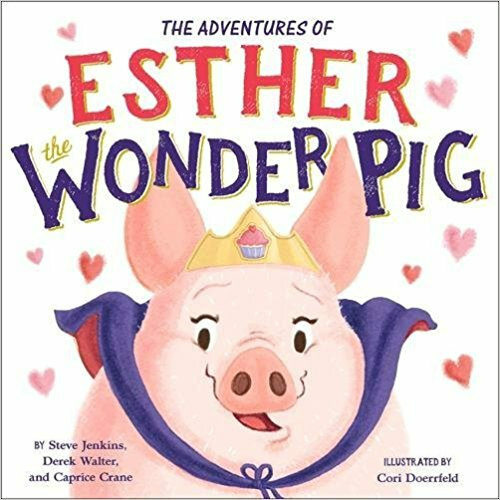 The True Adventures of Esther the Wonder Pig I read when my computer had to restart after one of it’s crashes. It was really cute with a wonderful message and I liked the art, although it was a bit short as it’s mainly a kid’s book. 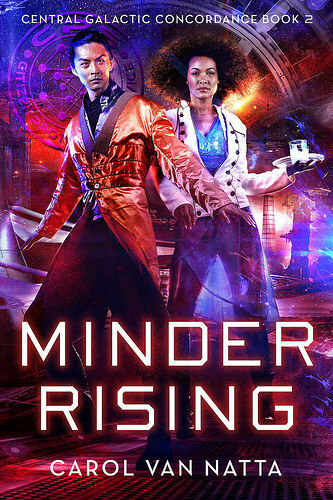 Minder Rising was really good and I really like this series. 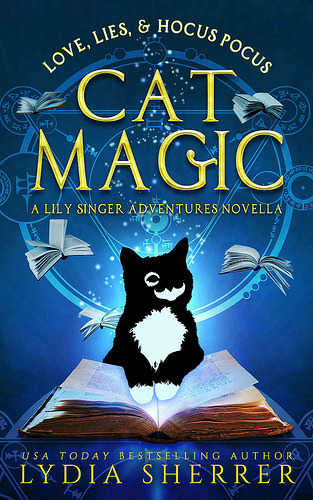 Cat magic was a great short read following the point of view of the cat Sir Kipling from the Lily Singer series. I still have to write my review for the Esther book and cat magic tough as I finished so may books this week, I didn’t get around to reviewing them all yet. – Monster’s Best 2019 – 12 June – New! I bought a copy of Cat Magic when it released and already finished reading it. 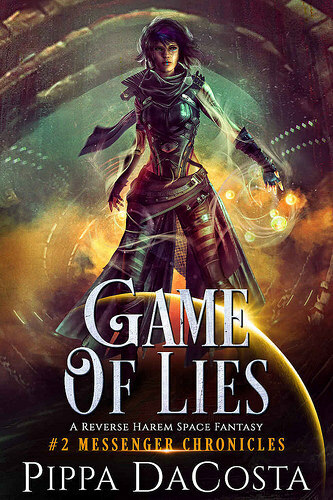 Game of Lies is the sequel to Shoot the Messenger, which was great, so I bought the sequel on release day and hope to read it soon. 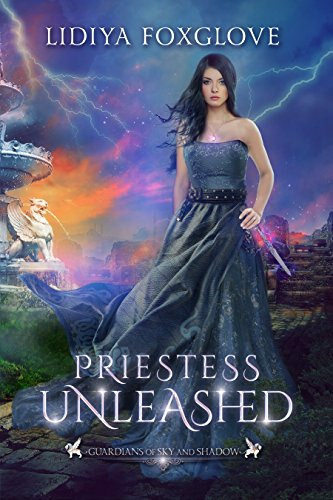 Priestess Unleashed I got for review and is the third and final book in this series. 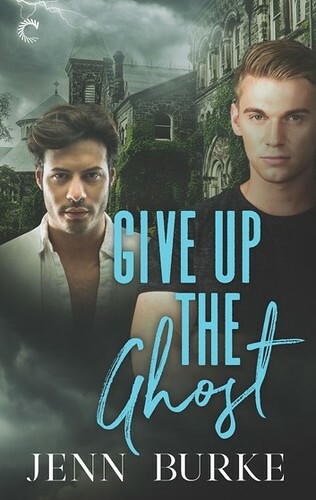 I plan to read this one next as I can’t wait to see how the series ends. 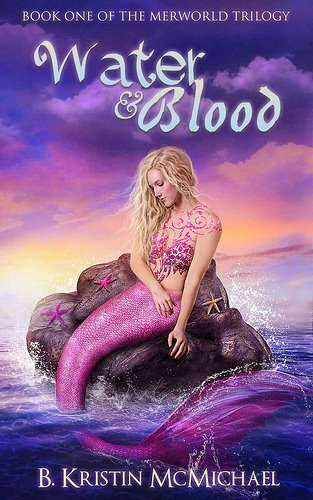 Water and Blood caught my attention as I was looking for new mermaid books to read and this one sounded good and unique. Lola, I struggled with Ruthless Magic. It was described as Harry Potter cross Hunger Games and it fell a bit flat for me. I didn’t really enjoy it up till half way point or maybe even the last 1/3 of the book. 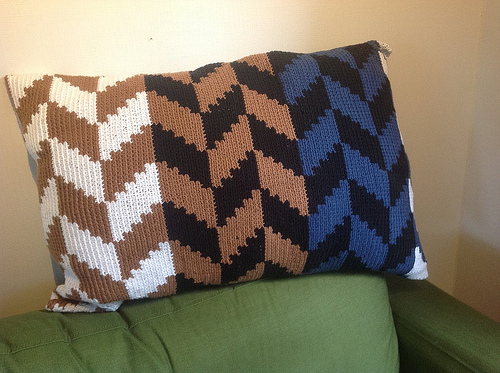 Kind of disappointing cos alot of people liked it. 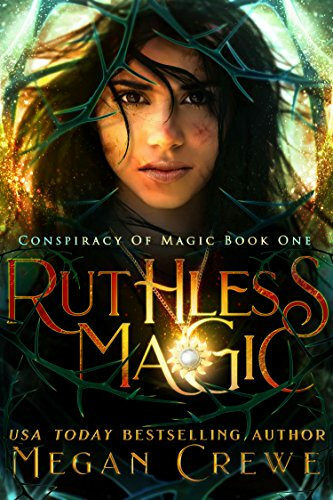 Glad to hear I wasn’t the only one who struggled a bit with Ruthless Magic. Although it’s never fun when a book fall a bit flat. That is nice at least the last part you enjoyed. After that scene with the rat I just couldn’t summon the enthusiasm to continue. A semi-yucky week between computer crashes, headache, and a DNF. Glad you enjoyed some other books including Esther the Wonder Pig and that you got some work done. Crossing my fingers that your computer makes it until you’ve saved enough for the new one. Wishing you a good week coming. Lola! yeah i wans’t too happy about the crashes, the headache and the DNF. I still have to review the Esther book, but it was a fun read and the illustrations were great. Yes I had to get the Sir Kipling book as soon as it released. I really enjoyed it :). My computer is having a slightly better week this week, so I am hoping it will make it for another few months until I can afford a new one. Sorry about the computer. I am hoping by the end of the year to save some money to get a new laptop. I love mine but I want to give it to my daughter and invest in one with more Hard Drive space. My computer is starting to get a bit old and with it’s issues like the crashes it now has I feel like it’s time for a new one. Hopefully in a few months I can afford it. Yeah with how there were some short ones and a DNF it sure seems like I read a lot, although I didn’t read much more than usual. 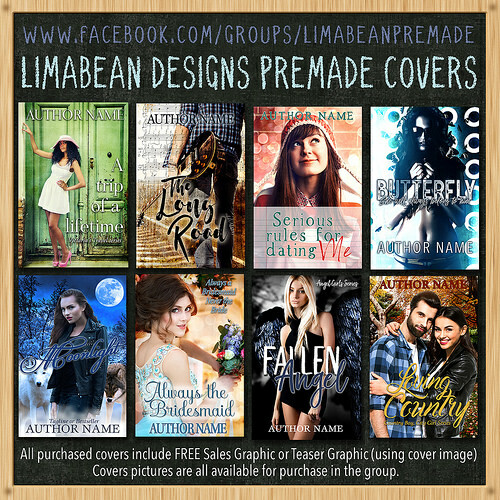 I would totally recommend the Lidiya Foxglove books, they are so good! I love this series with the Priestess :). I hope your computer holds until you are ready to purchase a new one. You’ve been doing great with reading, despite the DNF. Hope this week is a good one for you. I hope so too. I can’t wait to get a new one tough as it’s annoying to have it crash so often. 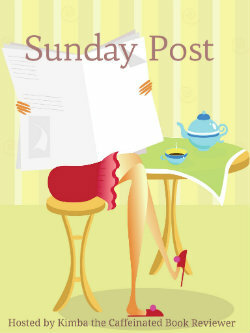 It was a good reading week, despite the DNF. That’s awesome that you got quoted. Sounds like you had a good week. It was great to have two authors use a quote from my review :). Sorry you’ve been having so many headaches and computer problems lately :-/ Sounds like you were still productive though! And that’s awesome authors are using your quotes! She killed one of her pets just to make a point??? Does the author think that just because someone’s pet is not a cat or dog, they wouldn’t mind killing them??? Like, I’ve heard about people getting surgery for their fish even. Weird. I can see why you especially would DNF that. The headaches and computer crashes are really annoying, but luckily I still got most of my work done. 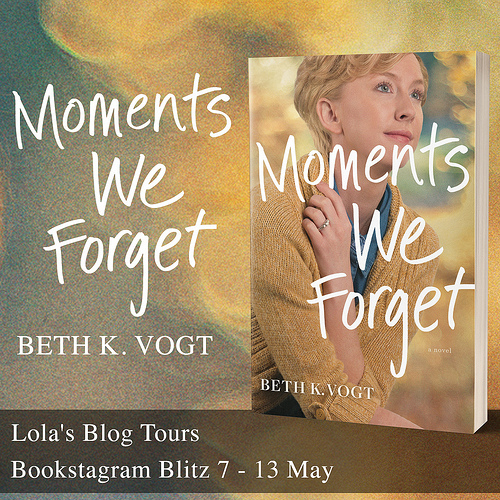 And it makes me so happy when authors use quotes form my review. Yes it was a horrible scene in the book. 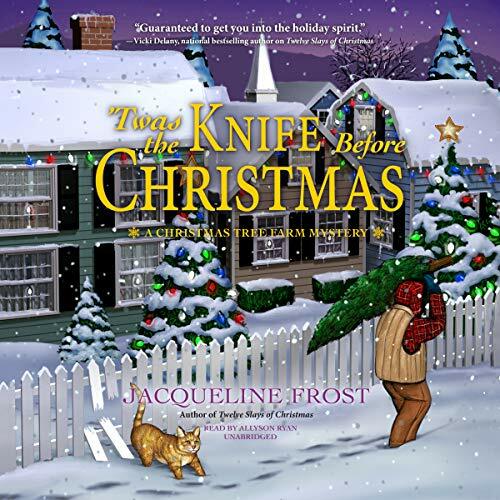 The character wanted to explain something to her brother about the type of decision he had to make and used some magic device to kill her own pet rat. Even while mostly skimming the scene it just made me feel sad and disgusted the character could kill her own pet rat like that. Pets trust you to take care of them and to abuse that trust in such a way is just horrible. I just couldn’t motivate myself to finish the book after that. Ugh, computer problems are an absolute headache. I wish you luck in making things work until you can find a new one! Thanks! There are a few things that sort of work, even if it’s only wishful thinking, so i hope it can hold on a bit longer until I can afford a new one. Sorry about the computer. 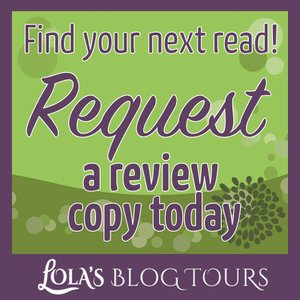 It would be so cool if an author used my review for promotion. I mostly review backlist books, and I’m not a great reviewer, so I don’t think that’ll happen. Have a good week! That’s what I always thought too, I feel like my reviews are way too elaborate and not quote worthy so it was great to have two authors use a quote form my review in the same week. That’s so cool when an author uses one of your review quotes! And sorry to hear about the computer crashes- that is so aggravating. I’ve had some weird crashes too and of course you worry about viruses and malware and all that, but I didn’t find anything. You never know w/ computers! Sorry to hear about Ruthless Magic too, but I can see where that would be a problem especially if you’ve had rats! It’s something that never gets old. It doens’t happen often, but I alwayw get so happy when I see an author use one of my review quotes. I think it’s something in the software or hardware that clashes/ crashes. Or it’s just getting old. Every time it’s a different error code and I put a lot of time trying to figure it out and got nowhere, so now I just sort of work with the crashes. And have all these weird techniques that sort of seem to help. Yeah that scene was really horrifying to me where that side character killed one of her rats :(. Sorry I haven’t been around much. 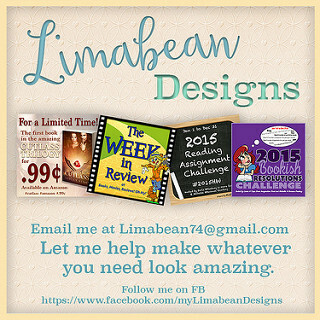 I’m in a bit of a blogger slump. I’m still reading okay (but still down from normal), but writing reviews and visiting is quite a bit down. Glad you had a good week. Sorry you’re still having computer issues. Sorry to hear you’re in a bit of a blogging slump. I haven’t made as much time for visiting lately either s I’ve been quite busy. Well one was a DNF and two were pretty short, so it looks like it’s more reading than it actually was. But it sure sounds nice to say I read 5 books a week. Moroccan potatoes sound good!